Colourful 400ml double wall coffee cup. Smart diamond patterned stainless steel outer wall and a polypropylene inner wall. Urban has a secure plastic push on lid with a splash proof sliding closure and a soft non-marking base. 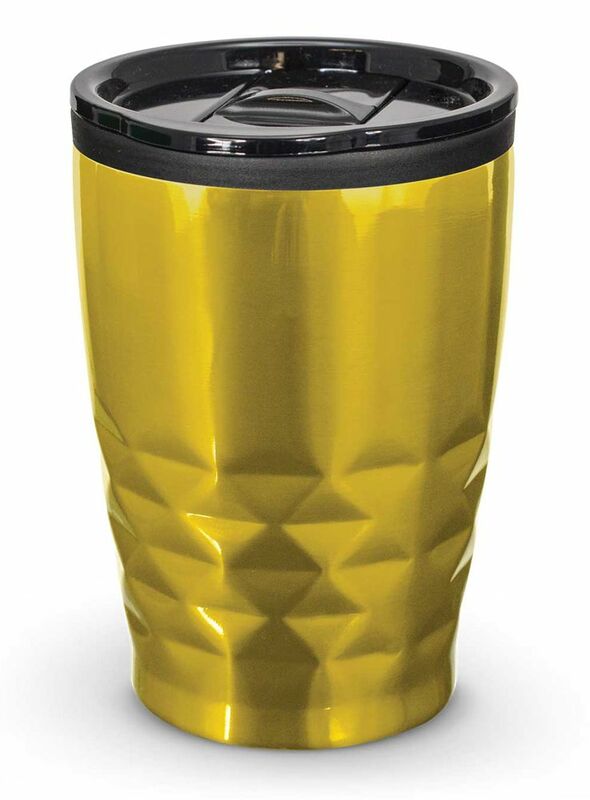 It laser engraves to a stainless steel finish and is BPA free. Handwashing is recommended. Laser engraved with your logo.